We’ve talked a lot about violence threat assessment in the past. Today, I want to talk about threat management. How, exactly, should we proceed when managing someone who poses a threat to our school’s safety? There is no strategy that will work in every situation, or every time. We must address the specifics of each situation and the needs of everyone involved to ensure the safest outcome. I can tell you that there are some things we always want to attend to when managing a threat. First, we need to ensure the safety of everyone involved. This means investigating the threat, notifying targets and implementing strategies to keep everyone in our buildings safe. We want to be aware of any existing connections and violence inhibitors that we can leverage to help a person of concern find alternatives to violence. This may take the form of contacting and partnering with family members, school staff or mental health providers who have a positive relationship with the subject. We want to understand the person’s perception of a situation or possible grievance, and help him or her to see that we will work to solve it to the best of our ability. We want to treat the subject with dignity, which may preserve the last bit of what is holding him or her together. If we must force a student out of school in the form of a suspension or expulsion, we need to do so with kindness and compassion, and keep the lines of communication open so we are not severing the relationship. We want to be mindful of the subject’s social media presence and communication with others, and monitor him/her for any hint of a violent mindset. This may continue for an extended period of time . 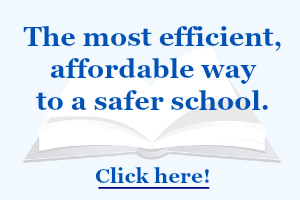 If we are concerned about a student who is currently attending school, we may have to institute labor-intensive procedures such as daily check-ins or backpack checks, and even constant supervision, if necessary. It’s imperative that we continue to communicate with those in our school about any words, behavior or incidents indicative of movement toward violence in a person of concern. When we don’t do this, it’s much easier for each incident to appear isolated, and to lose sight of the true picture of the threat posed by an individual of concern. We must keep connecting the dots for each situation of concern. 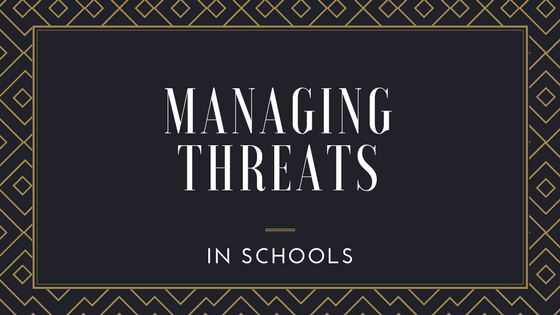 To learn more about how I work with schools set up their own threat assessment teams, click here.